Sign the Petition to Pass SB 481! Join Senator Richard Pan and Councilmember Eric Guerra in urging Governor Brown to sign SB 481, which will help build more affordable housing in Sacramento. As you know, California is in a housing crisis. The state will need 1.8 million to 3.5 million new homes by 2025 just to keep up with existing demand and expected growth. Sacramento has been hit particularly hard. Median rent in Sacramento rose faster than in any other California metro area in 2017. 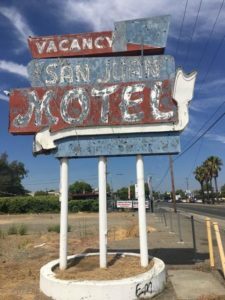 The site of the former San Juan Motel along Stockton Boulevard has been sitting vacant and blighted since it was set aside for redevelopment nearly a decade ago. Both the city and the county support SB 481, which will address the technicality standing in the way of building affordable housing at this location. SB 481 will allow the City and the County of Sacramento to join two parcels of land for the much-needed development of affordable housing. I respectfully urge you to join Senator Richard Pan, Councilmember Eric Guerra and I to stand with the residents of Sacramento and sign SB 481. By submitting your email address, you agree to receive emails from Dr. Richard Pan for Senate 2018.